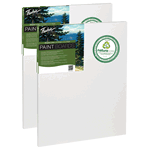 Canvas panels are a great economical option for painting on real canvas. They are canvas wrapped around a cardboard substrate. 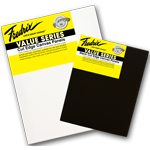 They're also a good choice for pieces that call for a thinner profile than a standard canvas. For your special pieces, choose the archival boards for longevity. 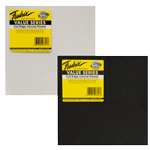 Canvas panels provide the artist with a great amount of freedom. 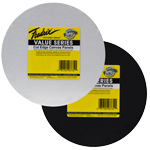 They are inexpensive, but have the feel of real canvas, because they are real canvas. Instead of being stretched on stretcher bars, the canvas is wrapped around and adhered to a hard cardboard substrate. 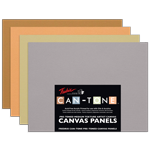 Canvas panels can be easily transported, making them great for plein air painting and for group events. 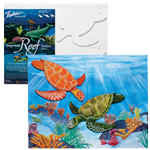 They are ideally suited to the classroom setting and give kids an opportunity to paint on real canvas. Canvas panels can be framed just like a stretched canvas.